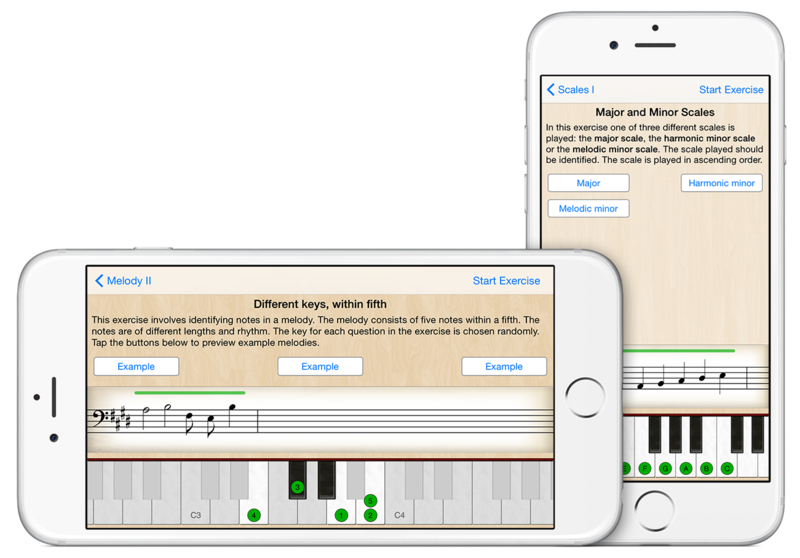 Educational apps for musicians and music students. Ear Trainer is an educational tool designed for musicians, music students and anyone interested in improving ones musical ear. It has over 260 individual exercises that are conveniently placed into nine different areas of study. Note Trainer is an app designed to help train your ability to read music. It is aimed at beginners, music students, musicians and anyone interested in musical reading. 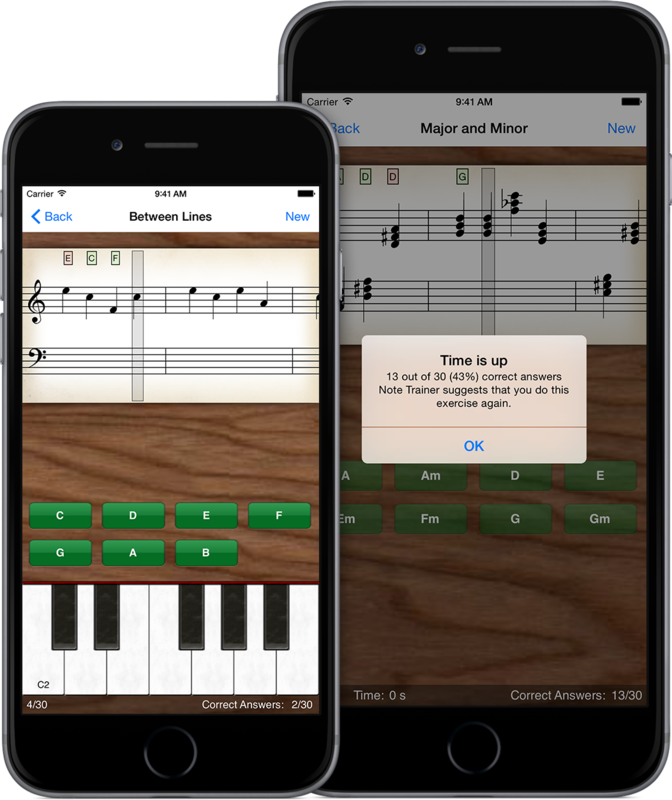 Note Trainer includes exercises for reading notes and chords. Exercise levels range from beginner to advanced. Note Trainer will guide you and recommend exercises to help you gradually improve your skills. More advanced users can focus on different areas of the application or select to start training at a higher level. You can also create custom exercises to train specific areas of music reading. Musicians practice playing to metronomes to develop and maintain a sense of timing and tempo. Pulse is a brand new metronome built from the ground up. 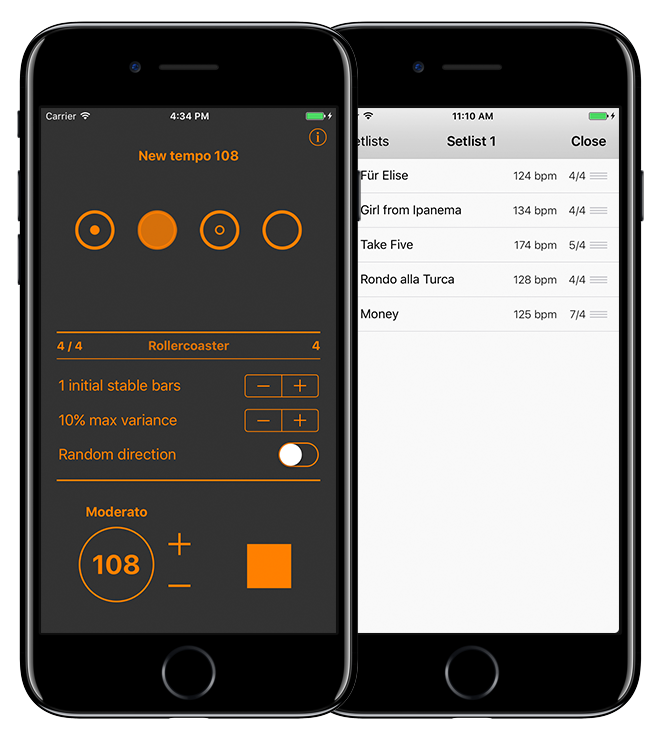 It does what you would expect from a metronome but it also has exercises that are designed to challenge and improve your sense of timing. Improve your sense of timing with modifiers. Pulse comes with seven exercise modes built in. The purpose of them is to challenge and improve your internal clock. dev4phone is a company run by two developers in Stockholm, Sweden. We started this company out of an admiration for the iPhone. We have over 25 years of experience developing applications and solutions for a wide range of platforms. We are driven by the goal to make the apps we ourselves want and to make our apps as good as we possible can! We hope that you enjoy using our apps as much as we enjoy making them and we welcome feedback, suggestions and ideas.